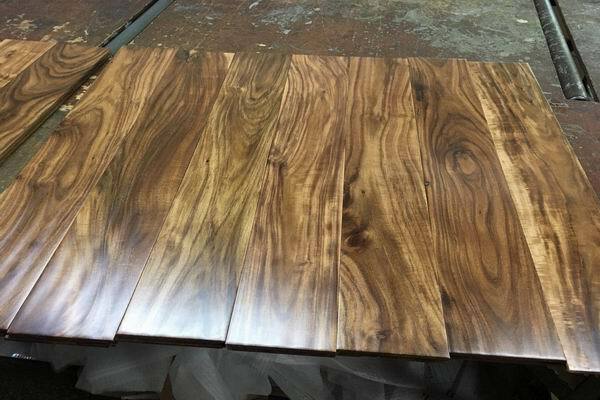 This premier asian walnut ( acacia confusa.) natural hardwood is nearly the highest grade acacia we milled from specially selected plank with less color variations & natural flaws as well as fantastic georgous bronze blend color sheen and hand scraped surface. Thanks to our flexible custom run machining, we could also stain it with darker walnut color per customer need. All our prefinished asian walnut hardwood plank comes in Random Length 300-1200x90/120x18mm (RLx3 3/4"or RLx5"),you can also purchase fixed size strip wood with size 2.5"-3"width x 2ft for herringbone patterned hardwood flooring direct from our mill plant as well. 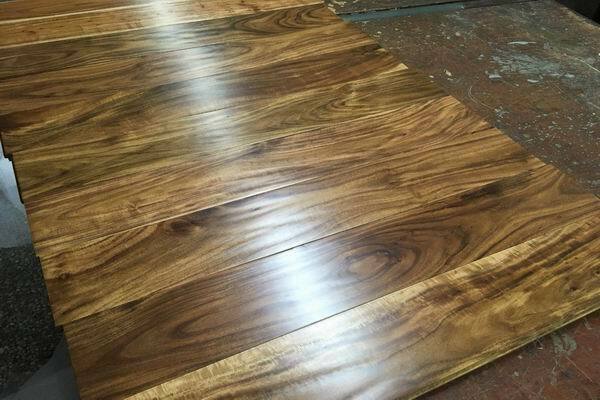 Considering diversified taste of different customers,we offer more optional finish like natural oiled, water based PU fiish,satin UV finish or unfinished etc.